I’ve been sharing recipes, coupons and deals over related to allergen-free foods for years over on $5 Dinners, but in early 2011 I thought it might be time to give them their own place in the interwebz. And finally in early 2012, the Food Allergies on a Budget was born, and the “FAB” Family and Friends have been growing ever since! New to food allergies? Start here. Looking for recipes and resources? Start here. 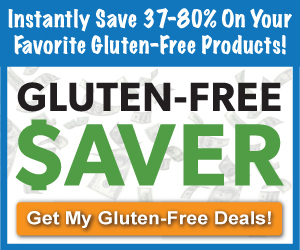 In need of a good deal or coupon for allergen-free foods? Start here. Questions, comments, concerns, let’s talk about it!